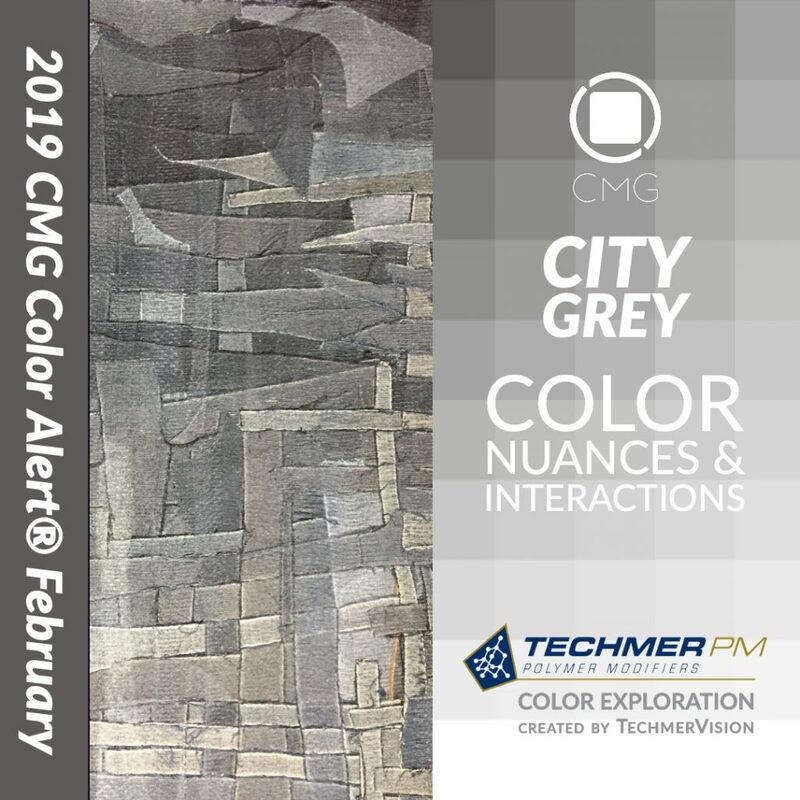 Techmer PM has partnered with Color Marketing Group® to bring members the TechmerVision Color Exploration City Grey, an extension of the Color Alerts®. Urban and urbane, City Grey is the look of color modernity. Originally emanating from CMG’s Asia Pacific 2017 color forecasts for 2019, its appeal is international, and its applications seemingly endless. Strong, decisive, and influential City Grey is appealing as a neutral color that is anything but neutral. It carries no undertones and is simply 70% black. Its depth defines its bold stance, its contemporary attitude, and its decisive industrial edge. It connotes the foundation of the urban landscape, the hushed night as it falls over a city, and the fortitude of a cityscape. Read the full Color Alert® story. When applying trend or directional colors during the product development process, one may need to do some further color design exploration to identify the perfect product color. By using the TechmerVision digital color tool to explore Color Marketing Group’s Color Alert® monthly forecasted colors, designers are able to visualize color nuances, interactions, and harmonies to accurately and quickly prototype colors for products.